When working with Roundhouse Recruiting, you will partner with a small firm with BIG impact! Roundhouse Recruiting is ranked as the 12th largest Executive Search Firm in Greater Cincinnati by the Cincinnati Business Journal. Since our establishment in 2008, our firm has expanded to multiple offices across the country. While our business continues to grow, we remain focused on our clients by retaining our small firm appeal. We believe that this element allows us to form strong relationships with our client companies by understanding their needs, culture, and the industries in which they operate. At Roundhouse Recruiting, we believe that superior talent is the real competitive advantage for organizations. We take pride in our ability to source that talent. Our recruiters are true human resources professionals who have a passion for partnering with employers in order to place candidates in a work environment where they will enjoy long-term success. We build our client accounts and pool of candidates through personal contact, referrals, and our reputation for performance. 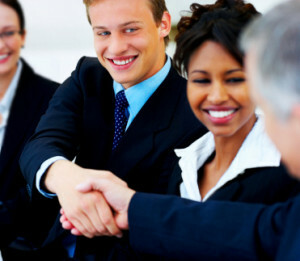 You will find our business development representatives and recruiters to be ethical as well as effective professionals.